The University is participating in the closing ceremony of The Bridge program hosted by Moon Gate Company. The University is participating in the closing ceremony of The Bridge program hosted by Moon Gate Company The University of Information and Communication Technology participated in the closing ceremony of The Bridge program, which was organized by Moon Gate for Moon Gate Company for Information and Communication Technologies. 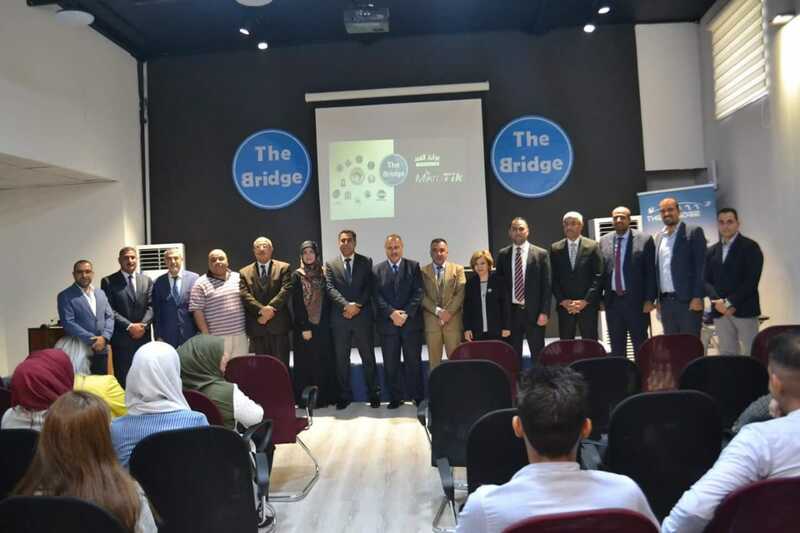 The Bridge program was organized by the Moon Gate Company for Information and Communication Technologies, in collaboration and guidance by The Ministry of Higher Education and Scientific Research/The Department of Studies and Planning, The IREX Organization, Rehabilitation and Employment Sections in Iraqi universities and the supporting bodies for this project which aims to train and develop the skills of graduates and students to integrate into the business market and provide employment opportunities for young people in the private sector. The assistant president for Scientific Affairs of the University of Information and Communication Technology, Dr. Jin Jalil Stefan, and the Director of Student Affairs Department, Dr. Mohammad Kassim, participated in the closing ceremony and a number of university students. 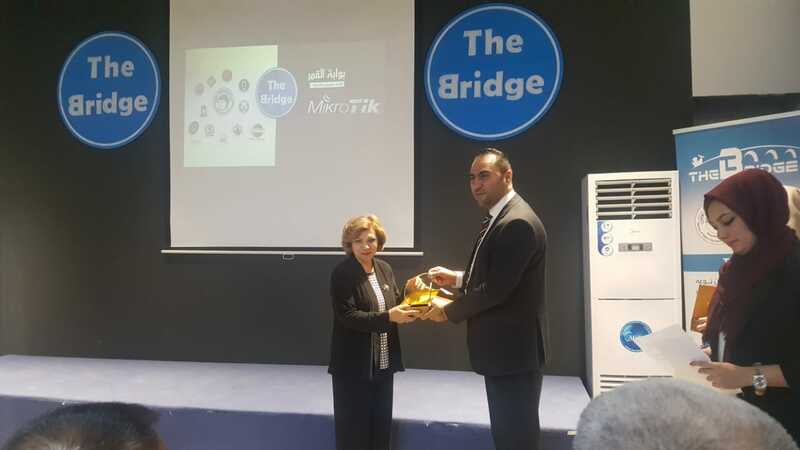 The graduate student from the Faculty of Engineering at the Iraqi University (Zaid Ismail Abdul Hadi) obtained the first of the award of the leading community program in Iraq (The Bridge) among 50 graduates participating from different Iraqi universities. In addition, the graduate of ( Zahraa Mohammed Abdul Ali) from the Business Informatics Faculty received the ninth position and a specialized position at the company above. The ceremony was attended by the assistance of the university presidents for scientific affairs, the deans of the Faculty of Engineering and Rehabilitation and Employment Sections in Iraqi universities During the ceremony, the scientific assistant to the university president, Dr. Jin Jalil Stefan, and the Director of Student Affairs, Dr. Mohammed Kassim, were honored the company shield award for the university and Rehabilitation and Employment Section efforts in communicating and supporting the training program for students.